We were given a photograph from the family of Janice Cane of 60 Clares Green Road, Spencers Wood. Janice passed away just before Christmas, and this was in her effects. 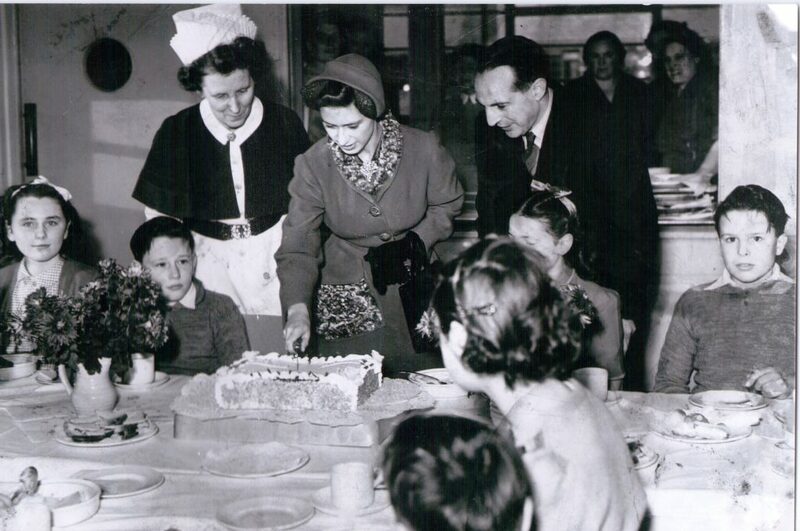 We were hoping that one of you could identify where it was taken & who are the people having tea? They look like they are celebrating! Were you one of the children? If so, please get in touch! We would love to hear from you! Did you go to Spencers Wood Carnival this year? 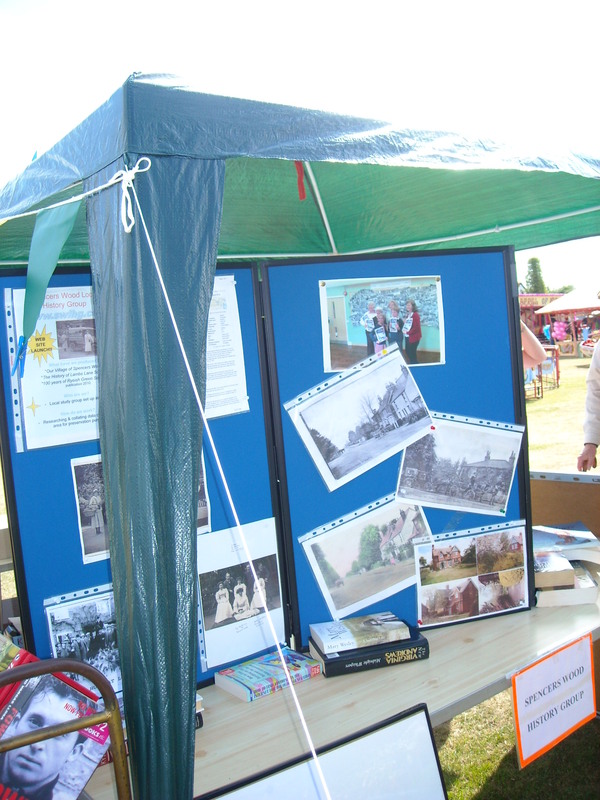 Did you see the Local History Stand? Our group takes a stand at many local events and we love to see you and talk to you. We enjoy meeting you. Many well-established residents come and look at our displays and sometimes point out a slight mistake. New residents come and gaze in wonder at all the green fields that their houses now stand on. One gentleman, who lived in Spencers Wood as a little boy, regularly comes to visit us and nearly always brings us some of his memories. He writes them very neatly in long hand. This year he was enquiring about some cottages that were opposite Lambs Lane School and sadly we had to say they had been demolished many years ago. One of our display boards was about the development of the Swallowfield bypass and it was of great interest to many who passed by. One of our members had found a booklet about it and we transferred the information onto the board so that we could share it. The bypass was constructed in 1978. It had been on the ‘cards’ for a long time because the old A33 was inadequate for the volume of traffic that traversed it every day. It had 3.6 km of continuous double white lines, 19 substandard bends and numerous junctions. Then when the M4 and Junction 11 were opened, the traffic increased even more and there was a public outcry for some relief. In fact, one frustrated farmer put up a notice board requesting motorists ‘to do their driving on the road’. In the next few months, we hope to publish a new edition of our Spencers Wood Village Book. We should have some copies with us at the next Spencers Wood Carnival. 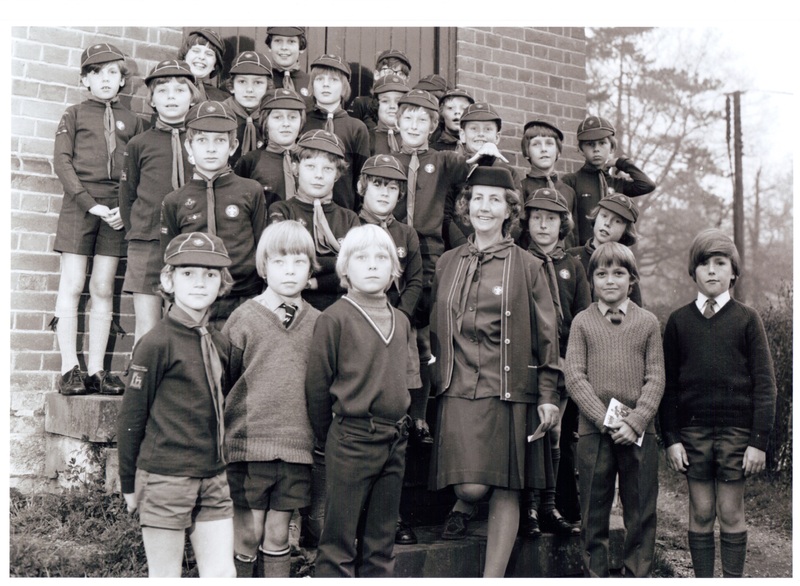 Were you ever part of the Cubs or Scouts in Spencers Wood? 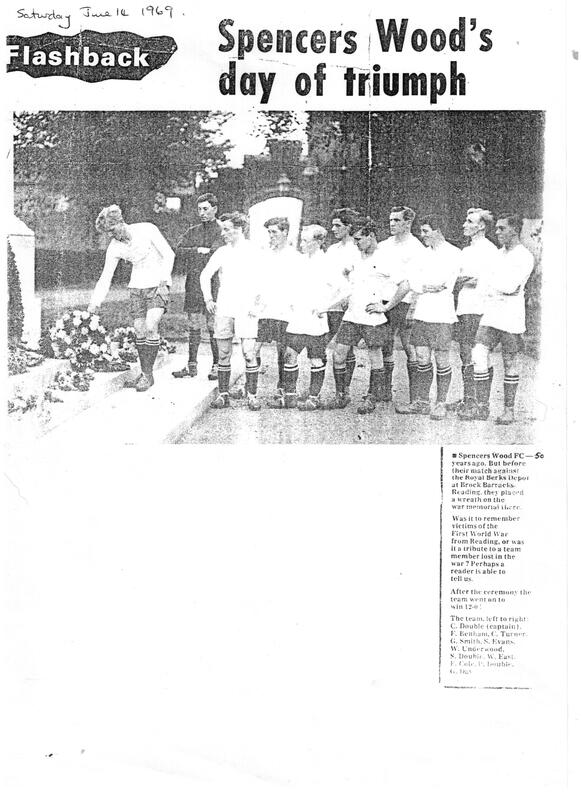 We have had a photograph kindly donated by David Blomley of Farley Hill from 1973. Two of his sons went to Mrs Hendersen’s Cubs every week. This photograph is of the whole cub pack, and we need your help in naming the boys!! You can see David’s son, Tom Blomley in the front row, 2nd from the left in the v-necked jumper. His other son, Nicholas, is standing just behind Tom, in the next row back. 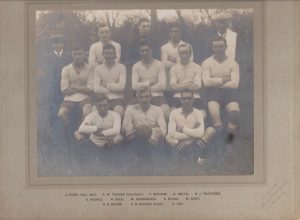 Both boys attended Lambs Lane in their early years, then moved on to Crossfields. The only other cub we’ve so far been able to name, is one of the group’s son, Alan Wheway, who is right at the back! Do you recognise yourself? 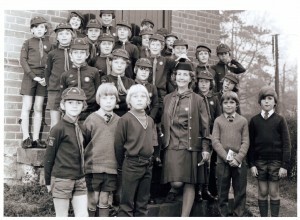 Did you attend one of Mrs Henderson’s cub packs over the years? Did you enjoy it? This bunch look like they had lots of fun! 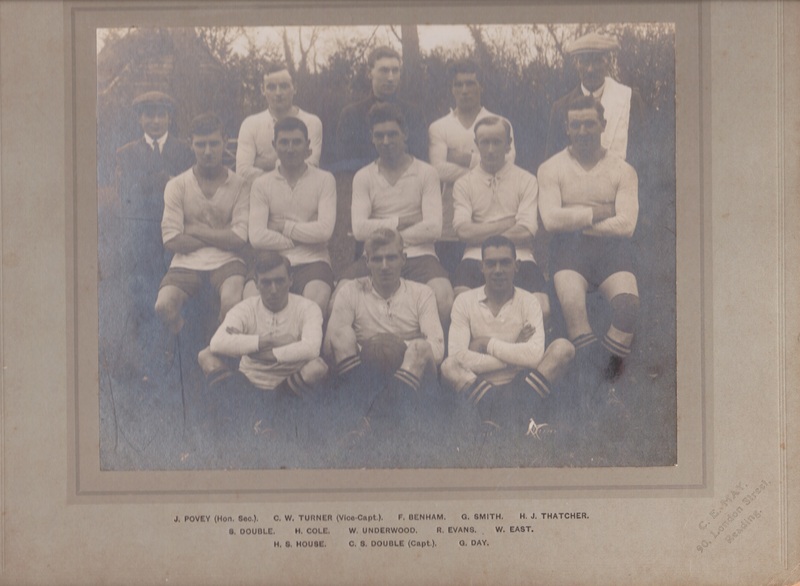 Get in touch if you have any stories to share, or can name any of the boys!